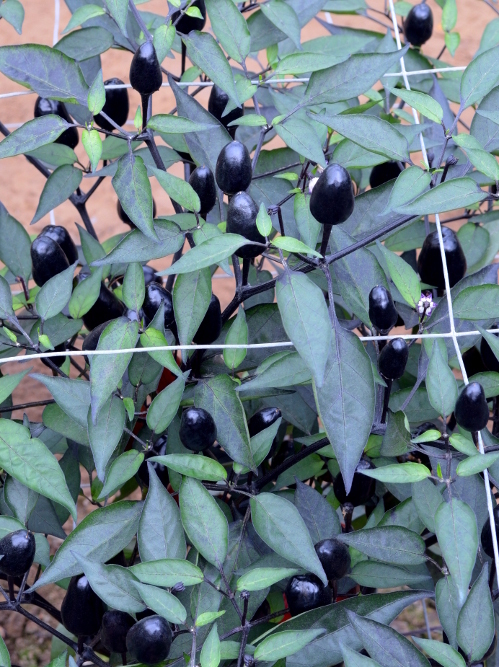 The upright plants have blue/purple leaves, purple flowers and black unripe chillies which slowly mature to dark red. 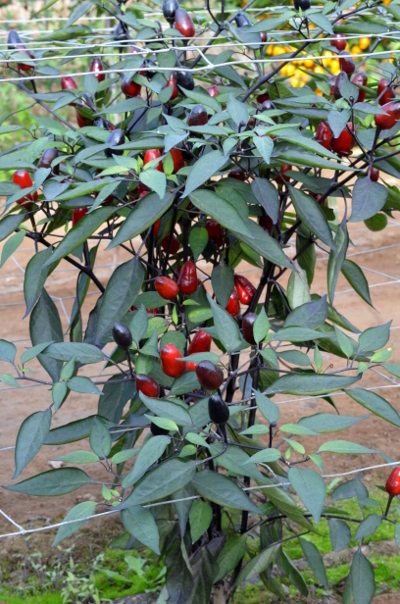 A somber plant, but it makes an interesting contrast to more vibrant cultivars. 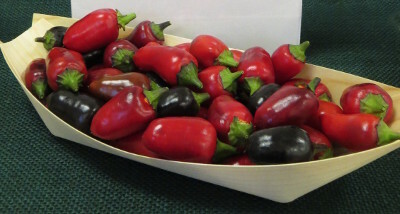 The unripe chillies are bitter, but once fully ripe they are mildly sweet, if rather bland.